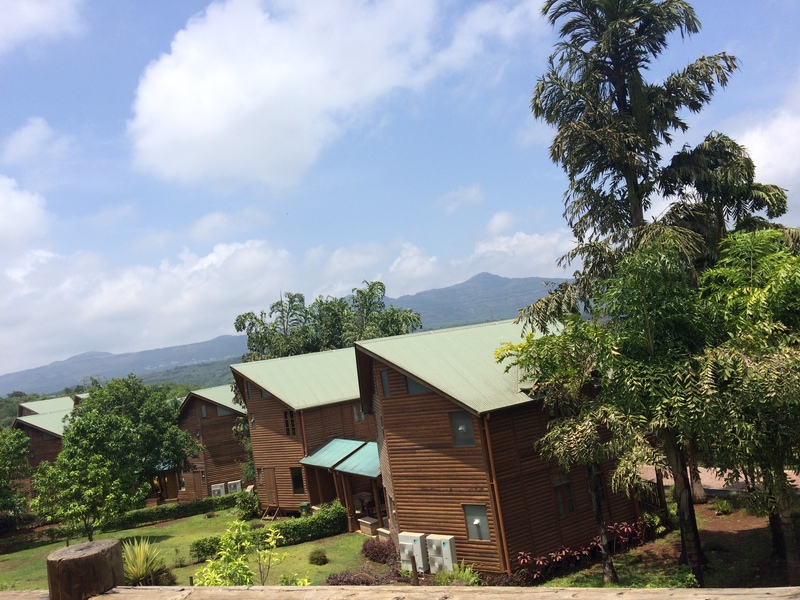 Second day in Aamby, I woke up with the sound of birds chirping and the trees rustling in the morning sun. Stepping out on the balcony of my cottage at the Aussie chalet, I looked at the lovely morning sun shining on me. The floor was wet signifying that it had rained in the night and left in its wake a beautiful weather and clean air. I wish I could bottle up the air and the fragrance it carried. I leisurely got out and headed to Woodpecker for breakfast. 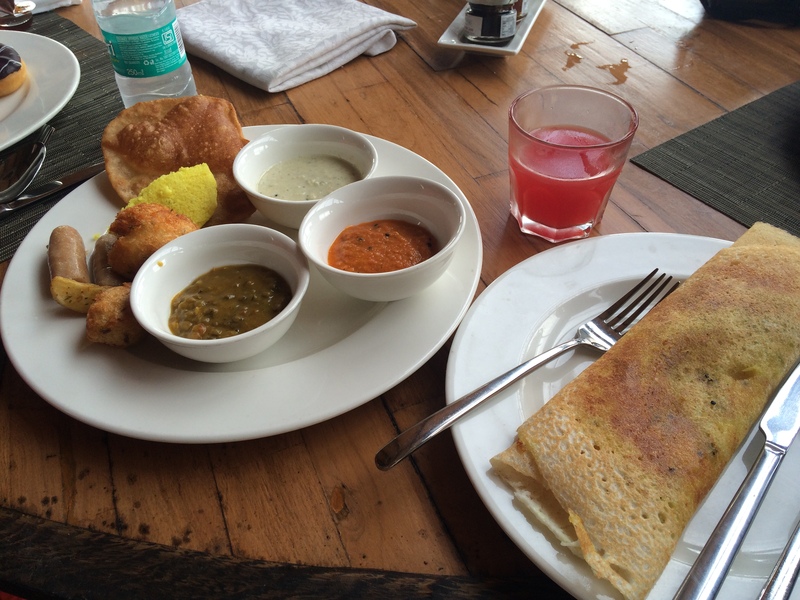 Since I was in the Kerala mood with the weather, the view, the air, I piled up my plate with medu wada, dosa, idli, sausages (yeah well, not entirely South Indian), fruits and washed it all down with a cool glass of fruit juice. 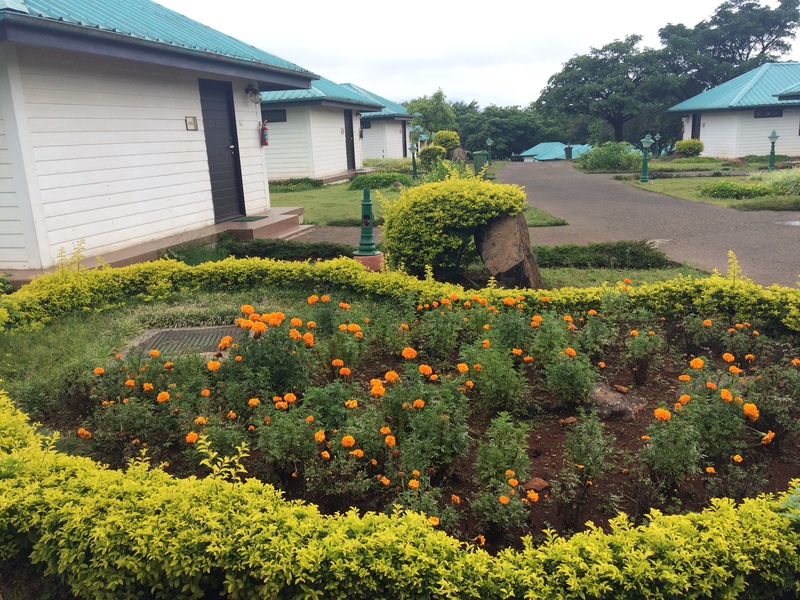 I was ready for the day ahead and to enjoy Aamby Valley to the fullest. We all got into the bus for a tour of the property. Aamby Valley is huge. Really huge. 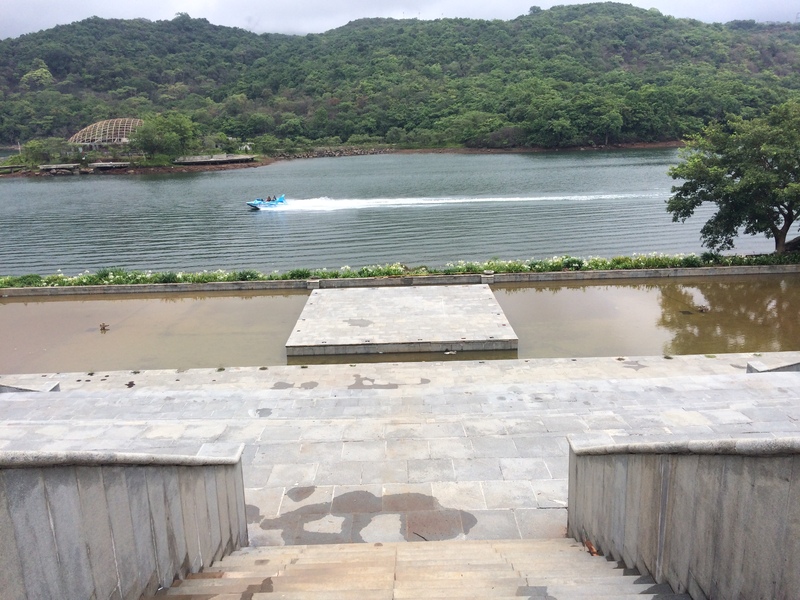 I couldn’t keep the number of stops we made to see everything that Aamby Valley has to offer. They have multiple chalets or the housing options. 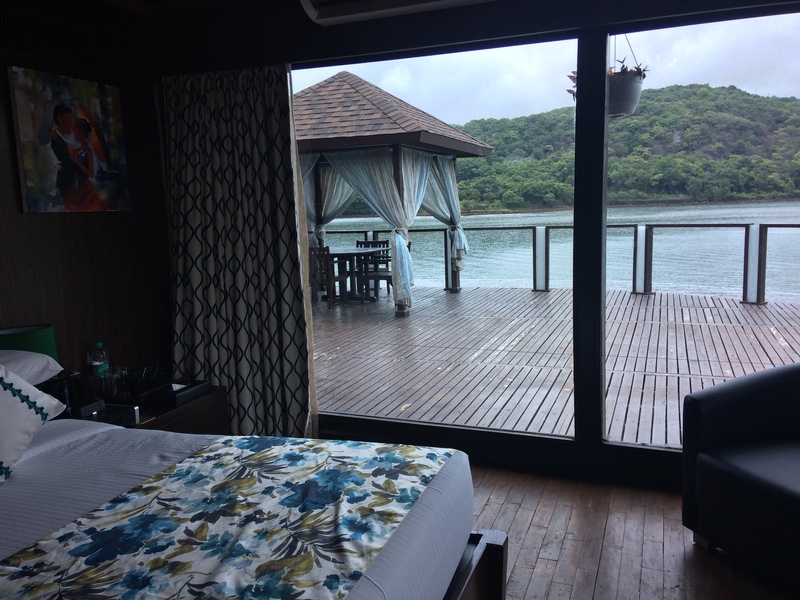 I love the Aussie chalets where I was staying but if you want to spend some quality time with your loved ones or family you should definitely check out the Burmese Chalets. These are 2 storey individual houses available as 1BHKs and 2BHKs. 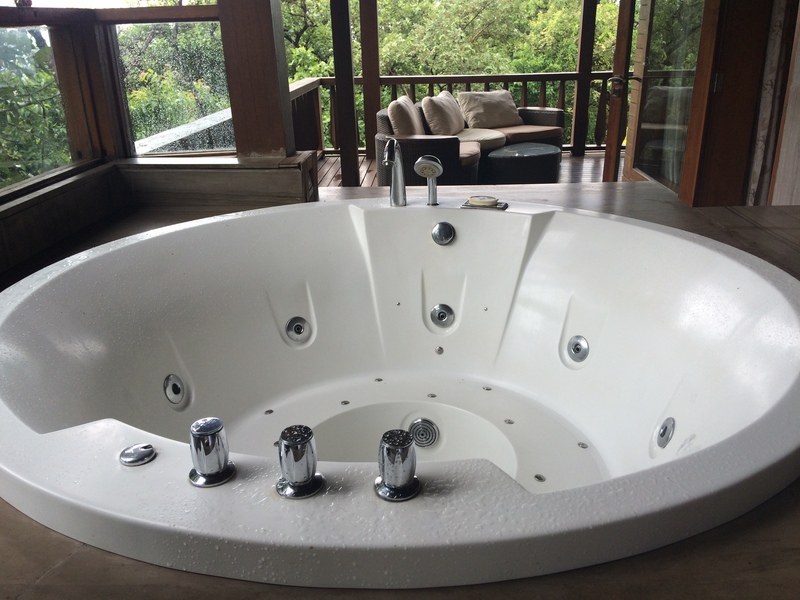 Apart from bedroom, hall and modular kitchen, they also have balconies running on 3 sides of the house which also consists of a modern jacuzzi with a capacity to fit 8 people. This is literally a luxurious home away from home. And since these are located on the mountains, the view during monsoon was breathtaking with clouds covering the top of the mountains and everything in the surrounding was green. Another housing option is the Supreme cottages which are made on a square piece of land and has all the essentials of a comfortable stay. If you are looking to do an elaborate wedding or any major function then Aamby Valley has got you covered too. The expansive, Benaras ghat can fit in tables with a sitting capacity of 300 people looking over the centre stage set alongside the lake which serves as the beautiful backdrop to your functions. 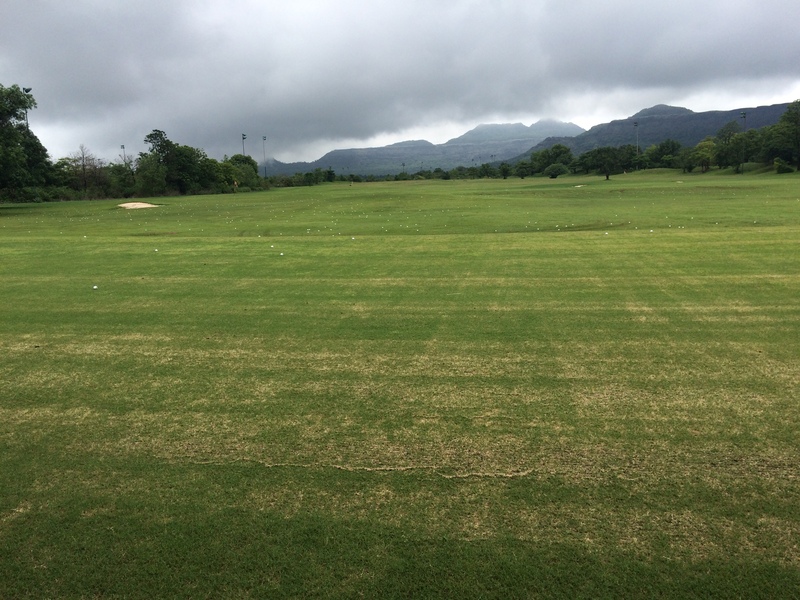 Our last stop of the tour was at the majestic golf course. The British PGA approved 18 Hole day & night floodlit Championship Golf Course spread over 256 acres is heaven for golf lovers. 66 eminent jury members at the International Property Awards, London had chosen it as the World’s ‘Best International Golf Course’ in 7 continents amongst 88 participating countries. 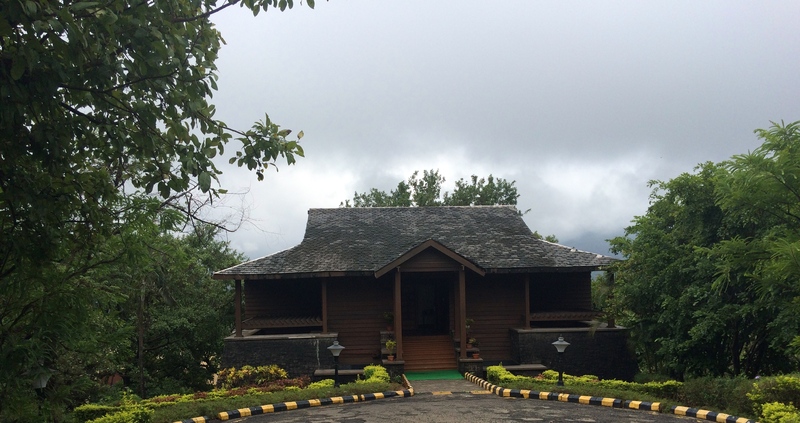 After trying our hand at golf and hitting multiple balls, we tired ourselves enough to head back for lunch at Woodpecker – World cuisine restaurant, which serves a different menu every day of the week to ensure that even the returning patrons get to try different items on different days. 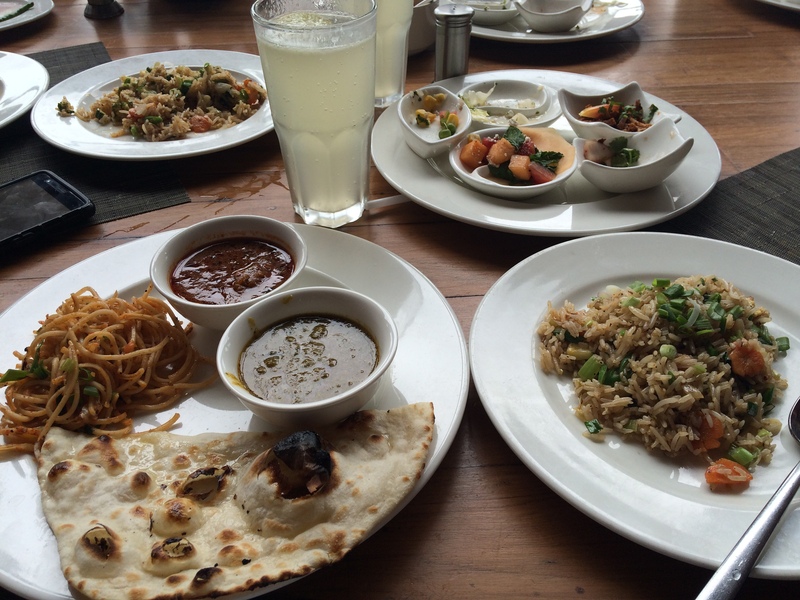 You don’t just eat at Aamby Valley you almost always overeat as the food is that good. So to burn some calories we headed out to indulge in some of the adventure sports. We all gathered at 19 Degree North to challenge our limits and indulge in a host of fun and exciting sporting activities. The first challenge was zip-lining across one of the lake streams between two mountains approximately at a 2-storey height while the wind is howling in your face. Such thrills. Next I did the jungle trail in the jeep. In true badass style, I was standing in the jeep holding onto the rail while the jeep galloped (the ride had so many bumps!) over the sinuous mountainous trail. Another stop was at Reverse Bungee jump. They tie you to a harness and then release you in the air only to be pulled back by the rubber wires attached to you. You experience a scary release and then scarier free-fall. The outbursts of people at this time is the most hilarious. From normal abuses to remembering their parents and God, too many choicest words have been spoken at this point. 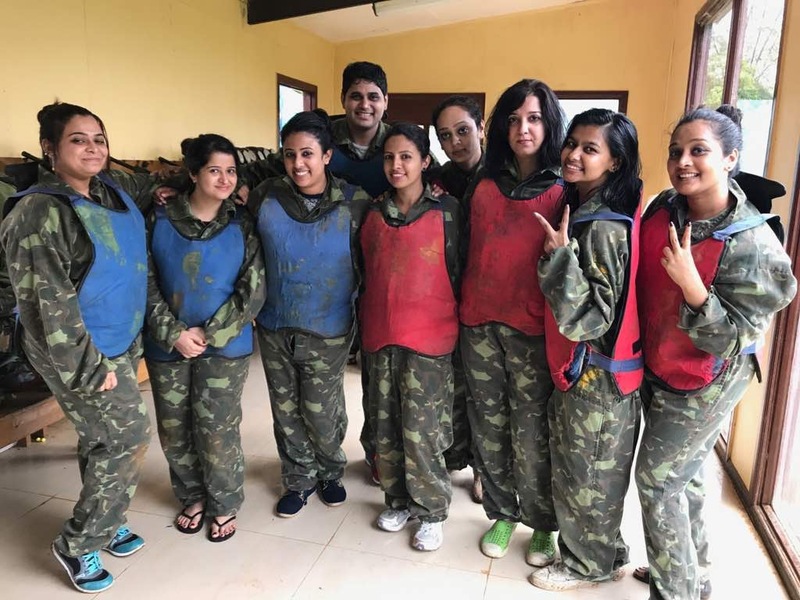 These solo adventures led us to try a group activity and we decided to shoot each other, not with bullets but with paint balls. For this sport, do listen to the instructor, who by the way, is a fun lady and explains the rule in an interesting manner. You’ll instantly like her. For the game, we got divided into 2 teams and the aim was to capture the flag which is kept at the center of the ground and to get it into your territory. The game was pretty intense and couple of us got shot bad as the bullet missed the protective gear and directly hit our flesh. So be careful. Sun was setting but we were still not ready to let go of the adrenaline rush coursing through us so we stopped by the dirt track to ride the ATVs – All terrain vehicles. The team here made us wear the protective gear, explained us the mechanism of the vehicles and then finally allowed us to ride. 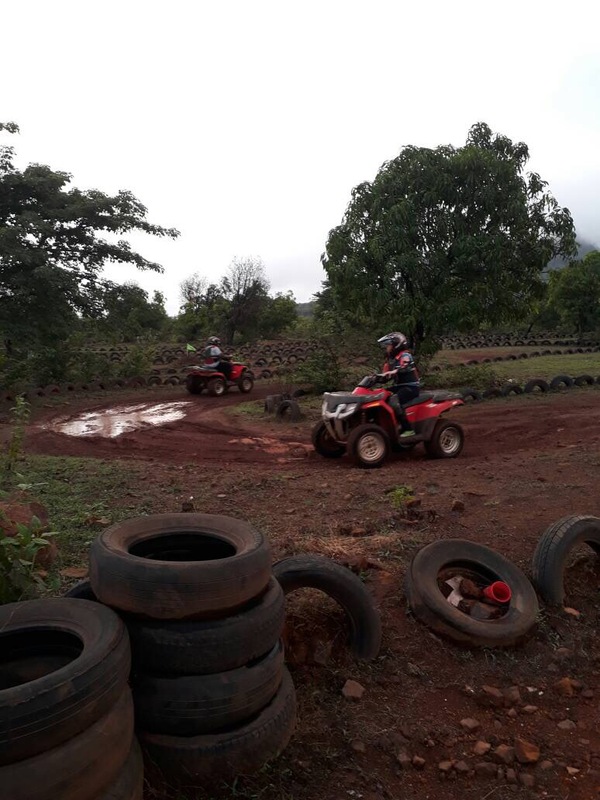 But as a precaution, the team first asks you to practice the driving on the relatively flat ground to get accustomed to the controls and only then allows you on the dirt track which is equivalent to driving up/ down the mountain roads. The experience is exhilarating and it leaves you asking for more. After enjoying so much at 19 Degree North we all headed towards the Aamby Valley Musical Water Fountain in front of Woodpecker restaurant. The show starts at 7.30 – 7.45 pm every night. The 20 minute long fountain show featured great water, light and music synchronization to showcase a great show to a large audience gathered around the lake. Do not miss it as it’s a great experience and leaves you spellbound. The water moves sensually to the rhythm of the music. From here on, we headed back to our rooms to get dressed for the dinner at the Mediterranean restaurant, Mabruk. 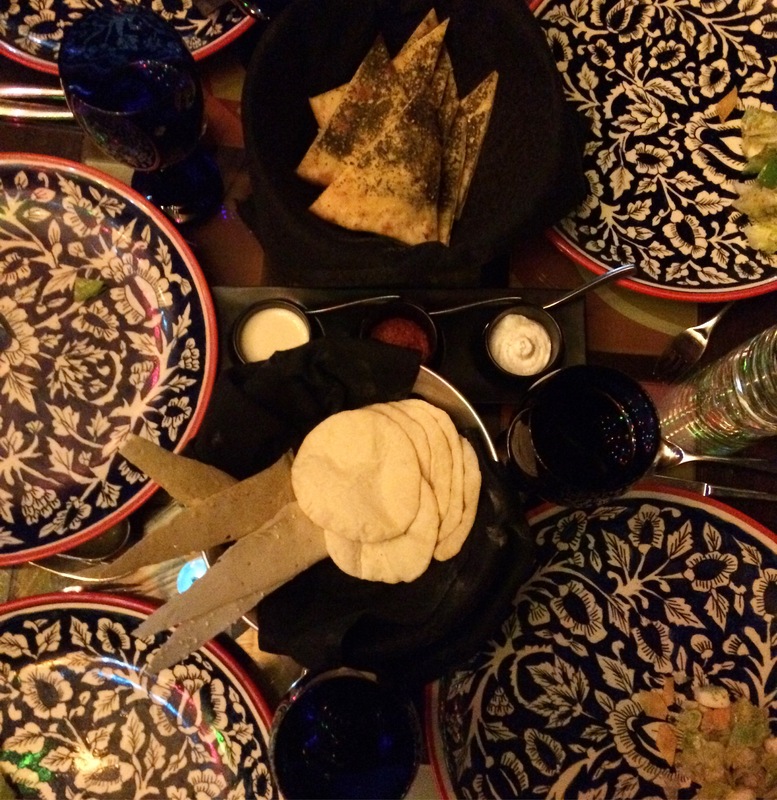 It is known for its Lebanese, Turkish, Moroccan and Greek cuisine. However, I didn’t find the food that great in taste or authenticity, but I did like the ambience a lot. The place is nicely decked up and oozes with classy, elegant and royal atmosphere. The French-German belly dancer with her well-practiced dance moves made it a scene out of a classic fairy-tale. Day 2 at Aamby Valley was full of adventure, adrenaline, and artsy elegance. I would say a good combination overall. ← 4-course meal. One main ingredient. Apples!